If you were to tell a stranger that foam has density, weight, and firmness characteristics, he or she would likely understand, given how common the terms are. However, one of the most confusing things about foam is the relationship between these characteristics. On the surface, it would seem the density or weight of a material would allow you to draw a correlation about its firmness, and vice versa. In general, this is often true, but when applied to foam products, density and firmness are independent values for determining a foam’s qualities. It would be accurate to say density is a foam characteristic that is “over-applied,” rather than one that is misunderstood. The density of foam means the same thing as any other application of the term; the quantity or mass of a material per a measurable size or volume. This pertains to all varieties of foam, including expanded polystyrene (EPS), polyethylene, polyurethane foam, and others. How density is measured varies across materials though, and in the case of foam, density is found by weighing a 12″ x 12″ x 12″ block of the material. If a product has a 3LB density, that means its 12″ x 12″ x 12″ block weighed 3LB. And while it’s vital to understand that density does not pertain to the firmness of a foam product, it does correlate to the quality and longevity of a product. Many conventional foams have a density between 1LB and 3LB. However, the densest materials can be as much as 10 or 15LB. High-density foam, Like The Foam Factory’s 2.8LB density HD36-HQ foam, is optimal for uses that receive heavy or daily use like couch cushions, bedding, or automobile seating. 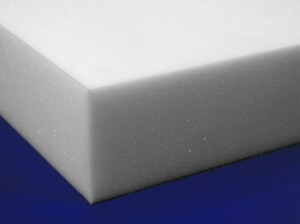 Lower density foam is excellent for occasional-use products like shipping foam, crafts, or guest room mattress toppers. Density is also sometimes referred to as weight, which is a more literal translation of the characteristic given the testing process. But because of this, it’s always important to specify whether you want to know a product’s overall weight, or its density weight. Consider a 6-inch thick, conventional foam queen mattress with a 2.8LB density. The material weight is correctly stated as 2.8LB, since that’s its density. However, the overall weight of the mattress would be about 46LB. That’s about 43LB worth of reasons to make sure you clarify which value you need to know, since both can be technically correct. Firmness meanwhile, interprets the feel of foam and how it yields to weight and pressure. Its measurement is called Indentation Load Deflection (ILD) (also known as Indentation Force Deflection/IFD), found by mechanical performance testing. A foam sample measuring 15″ by 15″ by 4″ is used and the force in pounds that it takes a 50 square inch circular indenter to compress the material 1″ (25 percent of its thickness) is recorded. If the sample requires 36LB of pressure to indent it 1″, its ILD is 36. It is also important that the test material meets the standardized dimensions, as different thicknesses of the same material can support weight differently. A hard foam material will require greater force to reach 25 percent compression, and a softer material will require less. Most common materials have ILD values from 8 to 70, with some materials as high as 120 to 150. A low ILD example would be The Foam Factory’s 12ILD Super Soft Foam, while their Rebond Foam is very firm at 70ILD. Firmness testing is done to help illustrate how a material will bear weight in end-use applications. It is important to interpret firmness values as an explanation of a material’s physical feel rather than its quality, which is reflected by its density. Because of the numerous structural and chemical makeups of foam, some foam sheets with higher densities can even have a lower ILD than foams with lower densities. For this reason, the two values should be looked at independently and used to help find a product that matches your preferences. Understanding what these characteristics do and do not tell you about a foam material is very important for selecting the perfect product for an application. By understanding the values of these measurements, you can have a better idea of what to expect from a product and make a more educated purchase. For questions or more information about foam density, weight, and firmness, contact The Foam Factory here. The simple answer to your question is yes. A 12-13 ILD foam is on the softer side of the firmness spectrum, so it will soften a firm mattress. Now, the actual firmness of the mattress it will be going on does play a role in the feel of the topper. If you have a foam mattress with a hypothetical ILD of 50, you can go directly by the numbers and know a 12-13 ILD topper will be softer. Lower ILD is softer feel, higher ILD is firmer. With conventional innerspring mattresses, feel is a bit more subjective, but if you have a mattress that is genuinely too firm, a 12-13 ILD topper should soften it. Also, the density of foam reflects the quality and durability of the material more than the feel. In your case, with a 5.34 pound density, you’re looking at a very high-quality topper. Lastly, the great thing about visco-elastic memory foam for people who want a softer sleeping surface is that it is activated by the user’s body heat. This means the most cushion is offered in the places you need it most: high-pressure areas. If you have any other questions, don’t hesitate to ask, whether it’s here or through phone or e-mail via our Contact Us page! Hi, we need to firm up out IKEA mattress, manufactured at 70 kg/cubic meter, or 4.4 #/cu ft. I do not know the ILD maybe 11 – 12. This seems to be a very soft mattress at 7″ deep, single layer foam. We are considering adding 2″ – 4″ of more dense foam in the range of 5.2# to 5.7#. Should this be installed on top of, or below the mattress? Thank you for your help, we are not in the trade, but have been attempting to educate ourselves in the world of ILD, IFD manufacture. This is an excellent question, and it’s quite apparent you’ve done research to try and get some insight on your situation which should be applauded. Unfortunately, there isn’t a simple fix for the situation you’re in. It’s easy to soften a firm mattress, but you can’t really make a soft mattress firmer, at least to the degree most people would want. A 4.4LB density mattress is a good quality material, but you are spot-on that an 11 to 12ILD is a very soft foam, especially for a mattress. At 7”, this softness becomes even more pronounced, as you can sink too deeply into the bed. Adding a firmer layer over a softer layer will be unsupportive, as the softer base will cause the firmer top layer to bow, with the soft foam yielding to the weight. You are correct that a higher ILD foam (35-50ILD) would be firmer in terms of feel, but the performance would be greatly diminished by the soft base foam if you were to place it on top. Placing firmer foam beneath soft foam won’t have an effect on the feel unless you’re bottoming out though all 7” of the soft foam – and if this is the case, the mattress needs to be replaced anyway, as a foam that thick should not be that soft for supportive, comfortable sleep. If it’s your intention to turn a very soft mattress into a firmer one, we’re sorry to say that our best suggestion is to replace your mattress with something that fits your needs better. If the mattress was layered and built from multiple sheets adding up to 7” you would have some maneuverability, but in a single slab, there aren’t many options. If you have any more questions about ILD, softness, support, and mattresses, we would be more than happy to help you get the comfort you’re looking for! Feel free to follow-up with additional questions or comments here, or you can contact us directly through one of the channels on our Contact Us page. We have a sleeper sofa with inferior cushions and they are slipping and sagging after only 18 months. I’m looking for replacements, and I need to know what density and ILD I need to support two weighty people over the long haul (200 & 250 lbs.) Can you explain the relationship between density, ILD and support for higher weights? Sorry to hear those cushions are already giving out on you, but the good news is, we can definitely help! Thank you for commenting as well; this is a great question and one we get asked pretty frequently, so hopefully this gives you, as well as others who have the same problem, some insight. The biggest thing to understand about density and ILD, and something you’re probably already aware of, is that they’re independent of each other. But in concert, they form the overall experience you get out of a cushion. In a situation where you want a longer life out of a foam insert, with adequate support for the requirements you’ve specified, your number one priority should be high-density foam. Since foam density is calculated uniformly – the weight of a cubic block of the material – a high-density foam contains more performance product (physical foam material vs. air pockets) than lower density foam. This is indicative of greater overall quality, and makes for a more resilient product that is stronger, can handle greater levels of use, and will retain its comfort qualities longer. Even with hours and hours of heavy use every day (constant getting up and getting down, falling into seats, kneeling on cushions, etc.) 18 months is a very short timeframe for cushions to wear out, which tells me your current foam is lower density, even if they started out comfortable. For the long-term durability you’re after, a couch cushion should be between 2LB and 3LB density, for the best blend of benefits and value. ILD, on the other hand, measures firmness. The lower the ILD, the softer the foam, and the higher the ILD, the firmer the foam – no tricks there! But the thing that sometimes confuses people is that feel (soft or firm) has no bearing on the quality or durability (density) of the material. You can have a high-density cushion with a very low ILD, which means it will be a very soft cushion but will maintain that same degree of softness for years. For some people, that’s exactly what they want. In your situation, where you’re looking for support, higher ILD is desirable, because firmer foam doesn’t create that softer “sinking” feeling. Higher ILD foam is still soft and comfortable, but you will feel more stable and rest higher in the cushion, which also makes it easier to get in and out of. It is also possible to have a high ILD foam with a low density, which will start off firm, but quickly lose its supportiveness, causing it to become soft, spongy, and saggy, which sounds like what happened to your current cushions. In your situation where you want something durable that will comfortably hold up for years while being very supportive, we would suggest our Lux-HQ foam. It features a density of 2.8LB and an ILD of 50LB, which is very firm in the world of comfort and support products. This is our most durable cushioning foam, as well as the firmest, and typically lasts a minimum of a decade, and up to 18 years in some cases. Our HD36-HQ is also a 2.8LB density material with the same lifespan, but has a softer blend of comfort and support, with a 35ILD. Hopefully you found this information useful and feel a little better equipped making your cushion replacement decision. If you have any other questions or comments, don’t hesitate to ask, whether it’s in another blog comment, through our Contact Page, where you can find our phone number and e-mail address, or even tweeting at us on Twitter (@FoamFactoryInc)! Thanks again for the great question, Kate! Your site is very helpful. Looking for a very firm foam mattress. Saw your hd36hq vs. LHQ 2. Are they latex or some other foam? Open or cloed cell or what do I want? We sleep on one that is so firm it almost does not compress at all and we love it but don’t know it’s numbers or how to duplicate it. What ILD d I want? TNX. Those are some great questions. First off, both our HD36-HQ and Lux-HQ are polyurethane foams. We do carry all-natural Talalay latex products, but each is marked as such. Polyurethane foam is the squishy, soft foam you’re likely used to in couch cushions, though there are many different varieties. For mattresses, you always want to select open-cell foam, whether you want the softest or firmest surface. Closed-cell foam is simply too firm for a comfortable, pressure-free mattress. In regard to our HD36-HQ and Lux-HQ foams, one is definitely firmer than the other. The HD36 carries an ILD value of 35, which is neither too-firm or too-soft; it is a middle-ground blend of comfort and support. Lux-HQ meanwhile has an ILD of 50, which is very firm, and what you’ll want for the mattress you’ve described. Lux-HQ’s 50ILD is a very firm material in the big-picture, and the firmest mattress material we sell. The higher the ILD number, the firmer the material, so 50 is the range you want to shoot for. For perspective, rebonded carpet padding, an ultra-firm product not generally suited for bedding, has an ILD in the 70s. To compare the firmness values of our other foam products, you can find their ILDs on their individual Data Sheets. I’ve passed your message on to our Sales Team who should be getting back to you soon with more information. In the meanwhile, feel free to Contact Us with any other questions you may have! How much does your 2 inch 4 lbs. King sized memory foam topper weigh? Just the topper and not the box or wrapping. I notice that some sites will advertise a 4 lbs. topper in King size, but the total weight is 22 lbs. That would be the weight for a 3 lbs. I already have that and would like to try a 4 lbs..
To answer your first question, our King-Size, 2″ thick 4LB ViscoPLUSH memory foam topper will weigh around 28LB total – foam only. You are also correct that a 2″ thick, King-size 3LB density memory foam topper should weigh around 21/22LB. As far as firmness and support, all three of our memory foam densities (3LB, 4LB, 5LB) have similar firmness values, around 14ILD per our data sheets. This test is usually applied to conventional foam however, and the temperature sensitivity of memory foam is a bit of an extenuating circumstance. That said, they are all about the same feel, which is based off the softening around your body’s contours. The biggest difference between densities in memory foam is the durability factor. As density increases, so does the amount of foam performance material vs air in a product, meaning there is more material that takes longer to break down. 4LB is longer-lasting than 3LB and 5LB is longer lasting than 4LB. Hopefully this helps, and if you have any other questions, don’t hesitate to ask! This webpage is amazing and very helpful. Very much appreciate. I do have one question, if it makes sense. How does firmness and weight correlate (if there is a correlation)? Since weight is how you deduce foam’s density, you can use weight and density interchangeably here. As density and firmness do not have any consistent correlation, neither will weight and firmness. You can have very firm, low-density foam (light), very soft, high-density foam (heavier), or anything in between. I’ve passed your message on to our Customer Service Team who will follow-up with you in case you have any other questions. Have a great day! My bed size is 54″ x 75″. My choice would be between the HD36 Foam HQ and Lux Foam HQ. My suggestion would be our Lux-High Quality foam in at least a 6″ thickness. It is our firm foam (50 ILD), and if you wanted to soften it up, that could be done with a couple inches of our super soft foam or our memory foams. Over a few years will the foam dimensions shrink, expand, or remain stable? I am considering two 34 x 74″ slabs about 6″ thick of either HQ HD36 or HQ Lux. The dimension leaves about 1″ around all perimeters of the steel bed frame and allows for thick bedding. This is the maximum space I desire so if the foam shrinks the 1″ space will increase beyond what I desire. Foam pretty much remains the same size throughout its life. You shouldn’t have to accommodate for shrinkage or expansion with our bedding foams. I’m looking for 1.5″ closed cell polythene foam to serve as mats for Brazilian Jiu Jitsu – what would be the best density to use – we have a lot of 300lb guys. We will be covering the foam with 18oz vinyl. What is commonly used is either rebond foam or gym rubber. Our touring caravan seats lose their support after sitting or sleeping on the after a short while. If we were to refill them we wouldn’t know which foam filling to ask for. Automotive foam typically uses a 3.0 LB density foam and a firm ILD of 50lbs or more. The closest we carry is our Lux-HQ foam. I purchased sofa where the back flips down into a sofa bed. The entire sofa is made of a built in inner springs mattress. There are no removable cushions. However it is just too firm, even to sit on as a sofa. As a bed I could put on a memory foam topper, but how do I soften the sofa seat when used as a sofa? I decided to create a two inch topper pad, (more than 2″ would make the sofa seat too tall) but what is the best foam to add softness for sitting pressure: high density 4 pound memory foam or regular foam or polyester filler or ????? I am 1.65 cm and weigh 135 Lb. I have fibromayalgia and currently sleep on a Cotton foam mattresses which is too firm for me. I have used a 2LB density Memory foam 4″ topper on my futon mattress, that was too soft and uncomfortable, and hot, I was sinking into the mattress. So I am planning to get an Air bed and use a Latex topper on that. However I am not able to decide on the firmness. If to get a 3″ Soft or Medium. will soft be too soft that I will sink into that? We would suggest the soft latex foam for your application. I am a female 5’4″ and weigh 200 lbs. My arthritis has continued to worsen over my 76 years and now even my Tempupedic mattress is a little too hard for me to sleep on my side because of the pressure on my shoulder and hip. I hope you can suggest a soft but supportive topper for my twin sized bed. Thanks for the information on this site and your attention to my question. We would suggest about 3″ of our Super Soft Foam. Super Soft Foam would provide a nice comfort layer to your existing setup. Link to that is here: (scroll to the bottom of the page) Super Soft Foam. Hi, I’m making an upholstered headboard and am thinking about using a 1″ mattress topper instead of high density foam, which is much more expensive. Is there any reason this would not work as well as high density foam? When you are dealing with a headboard, all you need is a medium conventional foam. A high density is not really needed, only a medium to medium-firm foam is needed. When we do headboards in-house, we actually use our economical Poly Foam. Anything more in terms of density or firmness is unnecessary. Can you explain how the “egg crate” LUX foam would different from the solid LUX foam feel as a matress topper? When a foam is eggcrated, it makes the foam have a softer feel when compared to a solid piece of the same foam. Great web site. My question is regarding cushions in living room chairs we are going to be re-upholstering. The chairs are 25 years old and the foam needs to be replaced. I am wanting a firm foam that, maybe not lasting another 25 years, but won’t sink when sitting in the chair making it harder to get up and out of, bad knees and all. With those requirements in mind, I think it would be difficult to find the right foam at the local fabric store. Thanks. Again, site so very helpful. If you want a firm foam, we would suggest our Lux foam. If you wanted a medium foam, I would suggest our HD36 foam. The regular grade has a life of about 7 years, HQ grade foam lasts about 15 years. Typically we suggest either our Lux-Regular or Lux-Hiqh Quality foam for that application. What would you generally recommend for rebuilding a Harley Davidson touring model motorcycle seat. I would likely be cutting out approx 2″ deep section of the seat area and then blending the suggested foam. We would suggest a firm foam, good for heavy duty use, such as our super lux foam, rebond foam, or neoprene foam. I have a new innerspring (low quality) queen mattress that is already showing a tendency to sag in the middle and is not comfortable. I use a 2″ natural latex topper. I am looking for a layer between the mattress and latex topper that will provide overall stability with a comfortable feel for a 5’8″ 145lb. side sleeper. I am looking at a 3″ Lux HQ or HD36 HQ. What do you recommend? Unfortunately when the base layer or foundation starts to show wear, the only solution we suggest is a replacement. There isn’t much that will prop up a sagging mattresses. Sorry about that. We are looking to replace our sofa cushions but are unsure to go with the 2.8 lb denisty,35 ILD or the 2.8 lb, 50 ILD. We like the cushions firm but are not sure if the 50 ILD will be too firm. I weigh about 175 lbs and my wife is about 120 lbs. Can you you advise? If you are looking for firm, then we would suggest our Lux foam for your application. I love your site and what you have to offer. We purchased a 38-ft sailboat a couple of years ago. This year I decided to a heavy detail cleaning bow to stern, inside and out. Treating for mildew and mold. The boat is spotless now. But the cushion for the cabin and berthing had a smell. We had them professionally cleaned, but that did little. So I pulled the covers and discovered mold. I cleaned (large tub of water) and treated. I am having a terrible time getting them to dry. After a couple of 80 degree weather they are almost dry. The almost is a major concern. I wondering will they ever dry completely or should I just order new foam. If so should it be the HD36 or Lux for the cabin seating cushions. Plus: what am I looking at for delivery time (Freeland, Wa), days, weeks or months. The reason I ask is we are on a schedule to head out on a long trip. Foam that has mildew should be definitely be replaced. Normally if the foam is wet, but has no mildew, placing a fan in front of the foam would help it dry faster. Both HD36 foam or Lux foam would work well. The foam should be covered in plastic to help make it water resistant. We also have dryfast foam available that can be used for boat applications. In either case, the foam should be dried seasonally or every 3 months to prevent mildew. I am looking for a foam that will support up to 300lbs when stacked in 3 or 4 thick layers. Such as the product from Fatboy Baboesjka stackable pillows. I would like to do my own DIY version. What would work best for this project? I have a reclining sectional that is showing deep body impressions after 10 months of use.The the seat cushions and back cushions are different thickness. The current foam is a Diminished Density foam( for enhanced customized comfort.The retailer claimed diminished density meant the foam gets softer the closer to the top and it is still very durable. What foam would you recommend that I use when I replace the foam? Thanking you in advance for your consideration. Typically seat foam is our medium foams (such as HD36-Regular or HD36-HQ) and the seat back is typically super soft foam. You can price out and custom order that on our custom cut cushions page. Hi,im looking for a mattress topper for a full bed. I am a female 5’2″ and weigh 200 lbs. and I have arthritis in my neck and in the last vertebras which cause me pain in my low back. I hope you can suggest me the best option. I am not asking for a full mattress because my husband is a truck driver and I travel with him, so the truck already has a mattress. I was thinking about a memory foam 3-inch 5-pound,but I’m not sure. I would like to know your opinion. If the mattress is soft or worn out, then you may need to replace the mattress and place a layer of memory foam on top. If the mattress is medium to firm, then yes we would suggest our memory foam for your application. In your case, we would suggest 4″ of our 5lb density memory foam topper. WE have a 2010 Prius with the most uncomfortable seats ever. I have just gone and to an auto Upholster and had the seats redone and yet it is still too firm. What can you suggest to make the foam less firm or stiff. It hurts to sit on it. I have put some weights on the top of the seats but all I have is about 40 lbs and we weight more then that. But I’m leaving them all whenever I’m not in the car. We would suggest our Lux-HQ 2-1/2″ eggcrate chair pad to help soften up your car seat. Hi, we have a sailboat and need to replace the mattress sleep on. It must be a 3 inch thick mattress and will be inserted into the mattress vinyl cover the current mattress is in. It will be used on a solid fiberglass base with no give. I have lower back stiffness and need support. The problem with the current mattress is due to age, I sink to the base through the mattress while sleeping. We are planning to add a memory foam mattress pad for comfort over the vinyl surface. We are thinking of getting the most firm mattress available in 3 inches, or should we go with the next level down? We are both side sleepers. Which would you recommend? I would suggest our firm Lux-HQ or Lux-R foam for inside the vinyl. You can custom order the foam mattress here. Then you could cover the mattress with a topper, such as our memory foam topper or an eggcrate foam topper to soften up the firm lux foam. What foam do you recommend for a side sleeper that has chronic hip pain. I have been told 33 HD, but I am only seeing 36 HD. I do not like memory foam. My boy friend likes a firm mattress but I need softness for my hips. I would like the mattress to be the same width and length as my queen bed I have now so I gather I will need to have 2 pieces glued together? You help is appreciated. Thanks. Yes, we would suggest our HD36 foams for your bedding needs. Our HD36 is very close to a 33, even if you had a 36 ILD foam next to a 33ILD foam you would not be able to tell the difference. Yes, we can glue different types of foams together so you could have medium on one side and firm on the other side of your mattress. Please contact us for further suggestions and pricing. We have a pop up camper that we are planning to take on a long trip. The foam mattress it came with is not firm enough to provide a comfortable night sleep for any length of time. We weigh 165 and 116 lbs each. What type of foam should I look for to replace the standard foam we have? Most commonly used foam for mattresses is our HD36 foam, in either the regular or high quality version. Use at least 4″ thick. Link to conventional mattress foam. Link to covers. Hi! We are trying to make a bunch of leather backpacks more comfortable. On back of each backpack is a pocket that reaches all the way down to the bottom seam. We would like to purchase some foam to put in said pocket to make it act as a barrier to the lower back. We have looked through your site but have no idea what to get. What would you recommend for us? Please share in laymens terms and a link to your product so we can order ASAP thank you !! Your site is awesome! To act as a padding, we would suggest our polyethylene roll, cut into the shape and size that you need. Use at least 1/4″ or thicker. Typically for window seat cushions a firm foam like our Lux High Quality foam is used. You can custom order this through our seats and cushions page. Are you guys familier with Fastcap, or Kaizen brands of foam tool organizing systems? They are a pretty stiff, easy to cut foam. I have seen packing foams that are similar. I am trying to find a place to get foam similar to this without having to pay Kaizen’s prices. That foam looks similar to our 1.7lb density polyethylene foam. Hi, you have a great, informational website. I’m wondering what type and firmness of foam you would recommend for a weightlifting bench. I’m looking for something about 3-4″ thick and would deflect comfortably but minimally between the shoulders when one is bench pressing a large amount of weight, between 300-500 lbs. Typically what is used for weightlifting benches is our rebond foam. the foam can be layered together and glued. I am gluing 6 inches of foam onto a board for a mattress. The problem is i only have 6 inches. I had some foam on there before but it wore out quicly and now i feel the board underneath. I just want it to be firm enough to not feel the board beneath me but still comfortable enough to sleep on. I was thinking a 4″ base layer of your HD36 HQ foam and a 2″ layer of softer memory foam on top. Do yu think the 4″ of HD36 is supportive enough? Or should i go with the Lux HQ? I’m 150 lbs. Thanks for the advice on this! Yes, we believe what you have presented is a good setup to not feel the board. I spent $5,200 for a sectional and within the first 6 weeks the corner peice has a section that is 4 inches lower that the rest of the couch. My 200 pound son sits there. There warranty excludes “normal shrinkage of foam” yet I have to think that this is not normal. Do you have any advice on what type of foam density I should insist on when/if replacement is made? I plan on having this sectional for a good 10 years. For a good quality foam, we suggest either our HD36-HQ foam for a medium foam or our Lux-HQ foam for a firm foam. You can custom order cushions here. Wow, what a fantastic Q&A. FIRST QUESTION I am a large man, 390lbs. Every mattress I sleep on my hips feel like they sink through to the base (platform bed) and it hurts! What can you do for me? Another issue I have is that most of my weight is carried right on my stomach and when I sleep my stomach sinks in twisting my back. Can you guys help out at all? SECOND QUESTION I want to order 30×70 HD36R Foam, but the cost is significantly higher that ordering a standard twin. How does one go about cutting a slab of foam? I would lean more towards our firm foam, such as our Lux-R foam for your application. To keep costs down, you may request the standard size, and for a fee have us cut the foam down to size. This should result in a lower overall cost. Please contact us for additional info. I have a sleeper sofa and need to use the sleeper part of the sofa every night for at least the next year. I weigh about 200 pounds and would like a supportive, yet not too firm, 4 inch foam mattress. Suggestions? We would suggest either our HD36-Regular medium or Lux-Regular foam for your application. We would like to replace the foam in the seats of our RV dinette. The cushions we have currently develop a dent when we are traveling for extended periods and we end up sitting at an angle or in ahloe as a result. We would like to replace the foam with something that will be long lasting and will be comfortable for extended periods of sitting. The existing cushions are about 5″ thick. What would you suggest? We would suggest our HD36 or our Lux foam for your application. You can price out and order the foam on our seat and cushion webpage. I love your site. It’s always so helpful. I’m starting on a new project. I need to provide some soundproofing foam in-between some open rafters to deaden some of the creaking and noise travel between levels. I was looking at the Polyethylene Foam Roll, but I don’t know if the density (2 lbs vs. 4 lbs) would affect the amount of noise that can go through. I was also thinking about using it in conjunction with a layer of the 2-1/2″ Acoustic Eggcrate Foam on top. What’s my best plan of attack? We would suggest the 4lb density polyethylene or the neoprene high quality to help in reducing the sound from going in between levels. The acoustic eggcrate, wedge and pyramid is primarily meant for improving the acoustics within a room, so we do not suggest it in your application. We would suggest our 5lb density 3″ memory foam pad for your application. We are building booth seating in our movie room and want would like to know which foam, HD36 Foam – High Quality or Lux Foam – Regular, would be more comfortable for someone 250 lbs with occasion to moderate use. Also, what thickness is recommended for booth seating, 3″, 4″? We would suggest 4″ of lux regular foam for your application. We are two adults on the heavy side. currently, we have a 3″ memory foam gel topper we got at Costco on top of an RV thin mattress that is short in length, along with a thin mattress topper. We want to get rid of the RV mattress and it’s topper and keep just the 3″ memory foam. We have a platform bed with drawers underneath…the wood platform is 19″ off the floor, so we don’t want the conventional mattress/box spring. Based on the info we’ve seen on your website, we are thinking your 6″ LuxFoam High Quality under our 3″ memory foam, with your 3 or 4lb memory foam topper (3″?) on top would be the best for us. ?? Also, we live in Washington State…you do send product there, right? That sounds like a firm setup, which is OK if you wanted to go that route. Yes we can ship to you in Washington. I have a sectional sofa 8 years old that had tons of use and cushions now need replaced. It’s foam wrapped in feathers. I would like to use foam wrapped in dacron but unsure if I should go with Luz regular 50 lb ICD or HD36 regular 35 lb ICD. What is your recommendation? If you want medium, go with HD36, if you want firm, go with Lux. Most common is HD36. What type of foam would you use for a motorcycle seat? 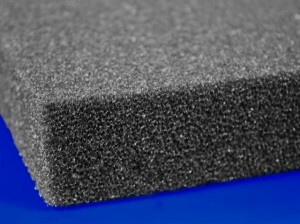 We would suggest our neoprene high quality foam for your application. For the information you have provided, if you wanted medium, go with the HD36. For firm, go with the Lux foam. In either case, regardless if you go with the medium or firm, please following the measuring instructions. I’m looking for something that has a 2-3lb density partnered with a lower IDR than can be rolledup without any issues. I’m going to be using this as an indoor/outdoor mat to lay down on so needs to be able to travel in a car without taking up too much room. Was thinking about 1-2″ thickness? Do you have anything that would fit this need? My goal is also something to put in a tent on the flooring to soften the ground when sleeping for the family. We would suggest neoprene regular foam for your application. The firmest foam we carry for your application is our Lux-HQ foam, which has an ILD of 50 pounds. Link that is here: mattresses in Lux-HQ foam. I am looking for a good support matters, I prefer it med-frim, and am wondering if I order on HD36, do I really need a softer top, or metterss only (no top) would be ok? Is there diference in firmness from the 2 HD36 options you sell. I am 5 6, 130lb, would h36 regular or HQ be too firm? For your application, I would suggest the HD36-R or HD36-HQ. Hi we are looking to replace foam on golf cart seats. What type of foam is needed for a project like that? The foam we suggest is our Lux-HQ foam, covered in a durable fabric such as vinyl. If the cushion is going to get wet, we suggest covering the foam in plastic to make it water resistant. It has spring mattresses and the bottom mattress has worn out. I’m looking to replace it with a foam mattress that will last longer and be more comfortable. I both sit and sleep on this futon (in chair position). I’ve done a little research and believe the best option is the HD36-HQ, but I’d like to make sure before making my purchase. Any advice would be greatly appreciated. Hi, Some memory foam mattress manufacturers drill many vertical holes in the memory foam layers. Does-it affect durability ? Also my weight is around 300 pounds and i would like to know if 7 inches of support foam at 1.8 pounds/ft3 is ok for me? The impact is minimal for mattresses with small vertical holes across the surface of the sleep surface. For your application I would suggest our 2.8LB density foam base in either HD36-HQ (medium) or Lux-HQ (Firm) foam. Our 5LB memory foam mattress has these higher quality bases. I like to know what kind of foam do I need for outdoor cushions. I like it durable and able to keep its shape. We suggest our dryfast foam for your application. Check out these links for more information and pricing. Sheets of dryfast foam. Custom cut dryfast foam cushions. I have 4 dining room chairs with 24x 24 seats that are sunk flat in the center from sitting. If I replace the foam, will the centers sink out again? The higher the quality of foam, the longer the foam will last. Hence, it will take longer for the centers to sink. If you want long lasting foam, go with either our HD36-HQ or our Lux-HQ foam. For long lasting dining room seats, Lux-HQ is suggested. What type of foam should be used for a bench truck seat? We would suggest either our Lux-HQ foam or our rebond foam for your application. I am building a window seat with a plywood base for my 100 lbs daughter. I have enough room for 3″ of foam. She likes a very soft, “pillow-top” feel. What is the best way to get enough support so that you don’t bottom out to the wood, but still get a soft, pillow-top feel (all in 3″)? Would you recommend a 2″ Lux base with 1″ of supersoft on top? How would that compare to 3″ HD36? Would I be better to use Dacron vs supersoft foam for the pillow-top feel? We would suggest 1″ of HD36 foam on top of 2″ of Lux foam for your application. Your website is a great resource! Thank you. We have a conversion van in which the 7 rear couch cushions are pulled into position to make a bed. They are hard as rocks. We have tried using memory foam and also Thermarest (camping) air mattresses on top and neither has worked to make the bed comfortable enough for us. We end up with achy hips and lower backs-we sleep on our backs and sides and need something comfortable for both. Adding extra material on top also takes up valuable space in a 20 foot camper. We finally came to the conclusion that what we should do is to just replace the foam in the cushions themselves, rather than dragging something else along. We are primarily concerned with cushions that are comfortable for sleeping as we don’t sit on them much-preferring to be outside. The upholstery itself is in great shape, so we would like to reuse. The upholstery could accommodate a total depth of foam of 5 inches high. I look forward to hearing your recommendations for a durable but pretty “squishy” foam. Many thanks! I would suggest our HD36-Regular or HD36-High Quality foam for your application. This foam type suggested should be good for both seating and sleeping applications. That seems like the ILD number, HR 50 seems like it has an ILD of 50. Our HD foams have an ILD rating of 35. Our Lux foams have an ILD of 50. I would suggest our Lux foams (it can be Lux-Regular or Lux-HQ) for your application. Thickness does not impact the ILD number. Minimum suggested for a mattress is 4″, but ideal is 5″. My suggestion would be 2″ of super soft foam on top of your current setup. Can you explain why you chose this ? Why this and not a second memory foam ?. How does this compare to the density of the memory foam that is 3lbs ? The soft part of this seems apparent in the name “super soft” but what about the support factor ? Are you stating the support of the 5 inch RE-28HR is enough support so it is just a matter of more soft ? And do you mean this goes over the 2 inch memory foam and not between the the RE-28HR and the memory foam ? Thanks, Cathy. PS. Having bought at least a dozen pieces of various types of foam, latex, poly and memory, over the past 5 years, trying to understand the process of how these foams work best. I have a rooftop tent that mounts on my vehicle. It folds in half and has foam a mattress inside that folds with the tent. The current mattress is approximately 92″x55″x 2.25″ thick and supposed to be HD foam, however, after weighing it, it certainly doesn’t seem to be very dense. I weigh 185 lbs., sleep on my side, and blow right this mattress onto the hard floor of the tent base – very uncomfortable, indeed. I want to replace this foam mattress with something more supportive. I only have 3″ max to work with. Would Lux-HQ or HD36-HQ or some combination be my best option? If I could get away with 2″ thick, that would be even better, but I suspect that is not realistic. Would the 3″ Lux-HQ be enough to keep me from bottoming out and still be cushy enough to be comfortable? I’m very anxious to resolve this issue ASAP. Thanks for your help. We would suggest the 3″ Lux-HQ foam for your application. I ordered my new cushion a few weeks ago and have been using it for about a week and I couldn’t be happier with it. Since I didn’t see a way to post a review I wanted to come back here and let you know how pleased I am. Thank you! Can high density foam to be used for a seat cushion insert, be vacuum compressed like seen on videos using vacuum and plastic. I’m concerned that if I order a high density foam insert replacement for my seat cushion that I might have a hard time placing into case. I’m considering ordering 20″x23″x5″ lux foam High Quality. Yes, you may use that method to get the cushion into the cover. I want to re-line my rifle case with a more dense and firm foam to keep the 10 lb. rifle from floating around as the present material is too soft and doesn’t do the job and provide the protection. It looks like the 1″ laminated polyethylene sheet is the material of choice and the center sheet will be cut out to the configuration of the rifle. Would you please advise before I order? 1.7lb is sufficient, but if you would like a good quality material then go with the 2.2lb density PE. Thank you very much for your help & direction in this matter. My wife and I are replacing the foam in the cushions of the Vee-Berth on our sailboat. The current slip covers are 4″ thick so we would like to keep with that thickness, if possible. Do you think a 2″ thick Lux-HQ glued to a 2″ thick 4lb ViscoPLUSH Memory foam topper would be enough thickness to make a decent mattress for us? Or would we sink to the bottom? We are both side sleepers and weigh about 175lbs and 115lbs, respectively. 4″ of a conventional foam such as our firm Lux or our Medium HD36 is needed for a mattress application. Anything thinner will not be sufficient as a mattress without bottoming out. I really need help choosing the right memory foam mattress topper. I’m 5 ft talll and weigh 93 lbs. my mattress is less than 4 years old and still has decent comfort in the pillow top. I want to add a topper that will conform to my body so that my shoulders don’t hurt and that will also support my lower back when I sleep on my back. I somehow chose a topper that has 4 lb density (ILD unknown), and I make no impression in it at all when I lie down on it. I didn’t know about ILD/IFD when I ordered it. Can you suggest something that would be supportive but also be compressed enough by my light weight to conform enough to ease the pressure on my hips and shoulders side-sleeping, and on my lower back when back-sleeping? What thickness, density and ILD can you suggest? Also, for the sake of clarity is a lower ILD a harder one and the higher numbers progressively softer? I really hope you can help me. All of my hours of research have left me with no idea what to buy. Thank you! All of our memory foam toppers have the same ILD. So we cannot suggest a different memory foam topper for your application that we carry. Yes, the lower the ILD the softer the foam. The higher the ILD the firmer the foam. What I can suggest is our super soft foam which is softer than the memory foams that we carry. It seems like you need more of a comfort layer to suit your needs. Link to our super soft foam is here. We would suggest a 2″ or 3″ thickness of super soft foam for your application. I don’t know if you can help me with this, but I’m trying to do an unusual RC Aircraft project, and so far the ‘most suitable’ foam I’m finding is known for its fragility. I need a very light-weight, hard, rigid foam (on the order of Expanded Polystyrene) that can take a little bit of abuse (impacts with the floor from a few feet up) without cracking, deforming, or snapping. I’ve seen suggestions from various forums about types of foam, but nothing that actually seems to be *available* anywhere anymore. I’m looking for it in fairly thick blocks, as the full project will be roughly spherical about 13” in diameter. Can you make any suggestions as to a suitable type of foam and/or where such foam can be found for purchase at reasonable prices in small quantities? I would suggest our polypropylene foam for your application. Since we are carrying this as a surplus material, the density will range from about 1.6LB to 4.3LB from block to block. The white polypropylene tends to be lighter. We suggest purchasing one block for testing purposes to see if it will fit your needs. Link to polypropylene foam. Link to our polystyrene foam. I started trying to place an order, but ran into a hitch. How can I specify the density I want? There doesn’t seem to be any place to enter it, and the weight of the foam is a *very* important consideration for this project. I would suggest a memory foam topper for your application, at least 3″ thick. Link to our memory foam toppers is here: memory foam toppers. Hi, I am redoing my popup camper. The cushions have a smell to them, and look old. It is 4 inches thick. What is the best foam for the cushions. Also can I order the 4 inch thickness and the biggest length and width to cut it to the size I need, or can you guys cut it. I have different sizes for bottom and back cushions. Oh, I will be needing the mattress foam also.. but want something comfy so I do not feel the board.. maybe 5 or 6 thick? Thanks. You can price out and view the different types of foam at our seats and cushions section of our website. Once you enter in the sizes you will see prices and descriptions. You can also price out and view different mattresses in the mattress section of our website as well. Hi there. Regarding Dryfast foam, if we went with a 3″ thick for an outdoor bench cushion application, how much does it compress down to? Ideally, we want to stay at 18″(compressed cushion seat height) as dining table is 30″. seat height is 16″ without cushion. Appreciate your kind response! Typical compression is about 1-1/2 inches with an average adult. Great informational site! Thank you! I am almost 60 years old, 6′ 2″ and weigh 210 lbs. I have arthritis in one foot, one knee, hip, lower back and neck with some disk compression in my lower back and upper neck. My wife and I love to camp and I recently bought two comfortable cots (80″ x 30″) that have springs and trampoline type material for the bed foundation and a thin, removable foam mattress on top. While they are comfortable now, I expect the foam pad to crush over time. I want to add a topper that will support my body when sleeping on my back or side without letting me sink down to the foundation. I also want the topper to be somewhat light and not too bulky. What do you recommend? I would suggest about 2″ to 3″ of our super soft foam for your application. It will be light weight yet offer a nice comfort layer. Hello, I am currently looking into building layered foam archery targets. Would the 4lb density foam be plenty rigidity and durability to withstand the continual impact of arrows. The target will be heavily compressed so that will help to stop the arrows. Yes, what is commonly used is the 6LB density polyethylene foam. I’m looking for a very dense foam to use as a pad when kneeling on concrete. I would like the pad to be 18 inches wide and 48 inches long, and 3/4 to 1 inch thick. We would suggest our gym rubber for your application. I understand the more dense the foam, the more support it provides (and the longer it will last). I’m debating between a 2″ 5 lb density topper vs a 3″ 4 lb topper. I need support for bad shoulders and hips and have a 7 yr old pillowtop mattress in decent condition. Which of the two would you recommend? Thanks! We would suggest the 3″ of 4LB memory foam for your application. I’m redoing a bench seat in a 1990’s pick up truck. New foam is required and the driver weighs in excess of 300 lbs. What would be your recommendation for foam? I would suggest our super max foam for your application. For the figures you have provided, the math would work out like this: 32x32x85 = 87,040 cubic inches. Your foam density is most likely 1.8 and your compression is most likely 24. So foam density reads 1.8 pounds per cubic foot. 1728 cubic inches in 1 cubic foot. Divide 87,040 by 1728 equals about 50.4 cubic feet for the block of foam you mentioned. Finally, 50.4 times 1.8 gives you a block weight of about 91 pounds. So happy to find your website! I am having a traditional Japanese Shikibuton made as our new mattress. This needs a firm foam base to lay on top of. The foam will be on a platform bed. My husband has been sleeping on 1 1/2″ memory foam on the carpeted floor so firm is a good thing. Our western mattress was considered Firm and is less than a year old but is too soft. Would 3″ of the Lux HQ be thick enough since it’s going on top of a wooden platform? Or do I need 4″. And is the Lux HQ the best option? Thanks! Yes, we would suggest 4″ of the Lux-HQ foam for your application. This foam is considered firm. We have an RV with bunks. The foam on the bunks need to be replaced, but will be limited to the original dimensions. The thickness is 3 inches. I want to avoid bottoming out for 180 pound adults, but want 70 pound kids to be comfortable, too. What do you recommend? Because the thickness is only 3″, we would suggest either our Lux-Regular or our Lux-HQ foam for your application. You can that at this link: custom cut mattress. Good Day to you! I am looking for a foam mattress for my two children to use at our cabin a few weekends a year where they will be sleeping on the floor. They are quite thin teenagers. Will these be comfortable when sleeping directly on the floor? Anything 3″ or less we would suggest our Lux-Regular or our Lux-HQ foams. Anything 4″ or thicker we would suggest our HD36-Regular or HD-HQ foams. Our conventional foam mattresses can be found here. Hello! I need some advice please. I need to soften up the mattress layers I ordered from you. Here are the details, and I do appreciate any advice you may offer. 1. I am a heavy man. 2. I have bad lower back problems. 3. I definitely wanted a firm mattress, but I’m afraid it is just too hard, even after adding your 2 and 1/2″ HD-36HQ EGGCRATE layer. 6. I added the 2 and 1/2″ HD-36HQ Eggcrate on top, and it’s still too firm. My mattress is King Size on top of a solid wood frame, no springs. What is your best idea for softening this mattress some more without making it “mushy” – I still need a somewhat firm mattress. Love your company and Thank You! We would suggest another 2″ of 5LB memory foam to add more to your comfort layer. Great article about foam density/weight/firmness! I’m still a bit unsure what level of IDL or material would fit best for the project I’m working on and am hoping you can give a bit of advice. I’m trying to make mobile platform pieces that people can stand on (maybe coating the foam with plastic) without the foam breaking or deforming in shape. We will be linking these pieces together to form a putting green, so there would be a decent amount of weight and foot traffic. Do you have any suggestions for the type of foam that might work? Our cross linked polyethylene is commonly used as a shock absorber for dance floors. However in the dance floor application they are spread out with about 50% coverage. For your application, you could do 100% coverage this way you have minimal compression. I would suggest our 2LB density cross linked polyethylene foam for your application. I am making cushions that are to be used in a glider chair. I’ll be using this chair to nurse/rock my newborn baby, so I would like for the cushions to be firm enough to be supportive but also give way enough that sitting on and leaning back against them is comfortable for long periods of time. Ideally, I would like for the cushions to be three inches thick, but can increase or decrease in order to get the right feel. I am unsure of what to choose between the HD36-R vs HD36-HQ vs LUX-R vs LUX-HQ for this purpose. I am looking for something that offers a cozy, slightly enveloped feeling but without the discomfort of sinking all the way in and being able to feel the wood of the chair. Thank you in advance for any advice or suggestions that you can offer! At 3″ thick, we would suggest our firm Lux-HQ or Lux-R foam. Ideally you would want 4″ or 5″ of a medium foam like the HD36-Regular or HD36-HQ foam. I need to replace two 51/2” seat cushions in living room chairs. They are used daily male 210 lbs. and female 150 lbs. What foam would you recommend? We had this replaced 2 yrs. ago by local upholstery shop and it has already become compressed and uncomfortable. The cushions have a slight trapezoidal shape. Can I order it cut to this shape? You can price out and custom order that through our website. We have HD36-HQ (medium) and Lux-HQ (firm) foams available. Link to custom cut cushions in here. What comfort layer best for papa’s cotton futon ? He is featherweight now with arthritis and hypermobile spine/shoulders etc. Is HDHQ 36 soft enough ? Thank you. The HD36-HQ foam is a medium foam. 2″ of this foam should be OK. However, if this foam ends up being to firm then we can suggest 2 to 3 inches of our super soft foam. Link to the different foams and pricing can be found on our conventional mattresses page. We have an old air mattress bed (like sleep number) that has become very uncomfortable no matter what we do. Over the many years I have replaced the memory foam several times within the mattress itself. My biggest issue with replacing the foam is that I am very sensitive to the outgassing of the memory foam. For me it takes many weeks of outgassing before I am able to sleep on the foam once I receive it. So, with that said, do you have a recommendation as to what I should try to buy to rebuild our airbed? My husband and I like completely different types of firmness in our mattresses….so I am not sure what to ask for exactly. All foams will have a fresh foam smell that goes away after a few weeks. Most customers don’t have an issue with it, but some customers do. Have you considered replacing the air mattress with a foam mattress? Most popular is our memory foam mattresses with a medium base. Link to our memory foam mattresses is here. We have a log futon with an innerspring mattress, which is compacted on the seat and very uncomfortable to sit on. Would it help to add maybe a 3″ foam to the seat? It is about 10 years old but in good shape otherwise. We tried to find an all foam replacement with no success. Thanks. We could custom either make a futon to the dimension you require or custom make an all foam futon for you. Please contact us for details and pricing. We would suggest our firm, high quality super max foam for your application. Our caravan has a sofa and ottomans that convert into a bed. It’s memory foam but too soft. It feels comfortable but doesn’t have enough support. I can’t replace it so my only hope is to get a topper. What type of topper should I get for it? I would suggest a 3″ memory foam topper for your application. Im reupholstering my seats in my 1970 Impala. Looking for a very comfortable durable foam. I have heard of guys using multiple densities of foam sandwiched together to get good comfort. Your thoughts and recommendations? If you go with one foam type, I would suggest our firm Super Max foam. If you use 2 foams, then I would suggest 1″ to 2″ of our medium HD36-HQ foam over the Super Max foam. I am a 6 ft 210 pound male. My girl friend is 140 pounds. We built a sleeping platform in our camper out of plywood. We now need a custom cut mattress to fill the space on the plywood. I like the sound of the HD36 in a 5″ thick configuration with a possible 2″ thick super soft topper on top to help with her hips. Does this sound like the setup you would reccomend for our weights? If not what would you recommend? Also, what to lie directly on the plywood before putting the mattress down? Thank you for all the help! Great site! That sounds like a very good setup. However, if you could do 3″ instead of 2″ of super soft, I would suggest that instead. The mattress can lie directly on the plywood – that would be OK. Which foam would be the most similar to the one in the pictures? It looks like either Super Max or the Lux HQ, but I’m not really sure. Thank you! I would suggest our Lux-HQ foam for your application. My husband is doing long term physical therapy and his therapist suggested building a therapy table to use at home. Do you sell a high density foam that would be suitable for this project?? We would suggest our Lux-HQ foam for your application. You can price out and custom order that on our seats and cushions page. You can enter in a size large enough to fit a therapy table. Copyright © 1997-2019 The Foam Factory.